The tee for this hole is quite high and it is possible to plug your ball in the earth, especially in the winter. •In summer, if you plug the ball on the fairway, you get a free drop (rule 25-2). 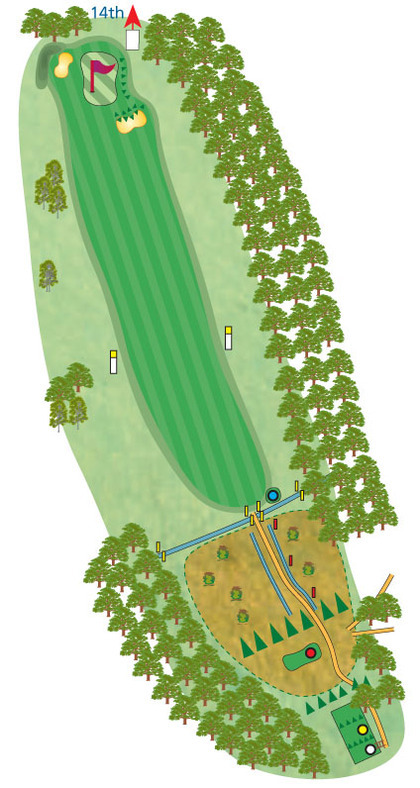 •If you plug your ball in the rough and want to drop it, this will be a one stroke penalty. 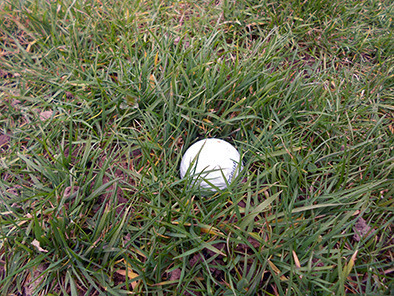 •When winter rules are in place, you get a free drop from any plugged lie, either on the fairway or in the rough. •You cannot repair the area where a ball plugged before you take your shot. •When you take a penalty drop, you can drop the ball within two club lengths, no nearer the hole. •When it is a free drop, you must drop your ball as near as is possible to the position it was plugged (rule 25-2). •If the ball rolls back into the original plug, you can drop it again without penalty.